October 1st marks the 27th anniversary celebration of International Day of Older Persons. International Day of Older Persons (IDOP) is an opportunity each year to celebrate the experience, wisdom and contributions of older adults around the world. “Old Age” is a life lived… a stage of life and a journey over time. Too often, it is associated with decline and loss. Too often, older adults are ignored based on a false assumption that they have little to contribute. This is nothing short of ageism. IDOP is an optimal time to remind ourselves that–as nations–we cannot afford to ignore the millions of older people–their skills, ideas and experiences. They are part of the economic engine of our societies. They have built our communities and strengthened our families. As the number of older adults increases throughout the world, we must commit to challenging ageist attitudes and to creating opportunities to hear from and learn from older adults. 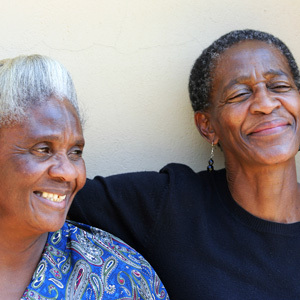 As the Global Ageing Network, we have a unique relationship to older adults as they access our member organizations, our housing, services and supports. They are a valued and valuable part of the fabric of our societies and a good reason to celebrate on this International Day of Older Persons.